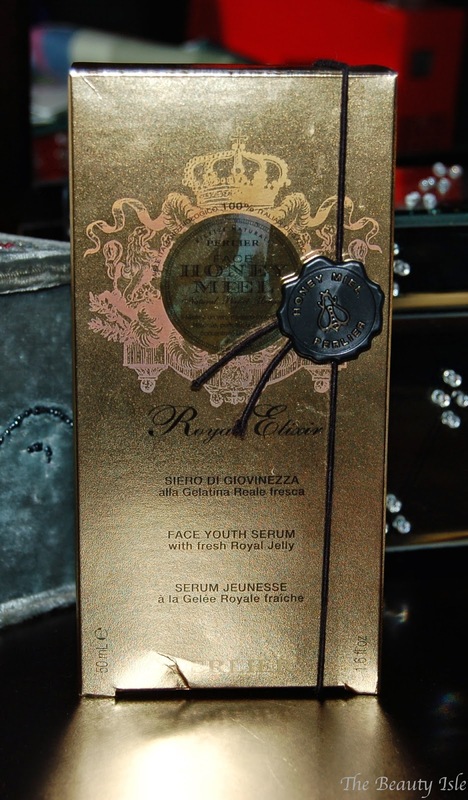 Today I'll be talking about the Perlier Royal Elixir Facial Serum that I received for consideration from iFabbo. Perlier is a bath/body and skincare brand that uses Italian ingredients. You can find all their products on HSN. Let's talk about the luxe packaging! This arrived in a gold box with a fancy emblem with picture of a bee on it. The bottle has a gold bottom and cap and a nice pump. The pump is the kind that allows you to see how much product you have left in the bottle. Although this is called a serum, it's actually a lotion. I used this as my daily moisturizer and a few nights of the week after cleansing my face. It's a very nice light moisturizer that has a pleasant scent that isn't too strong. This does leave a noticeable shimmer on the skin which I don't mind at night because I'm going right to bed. 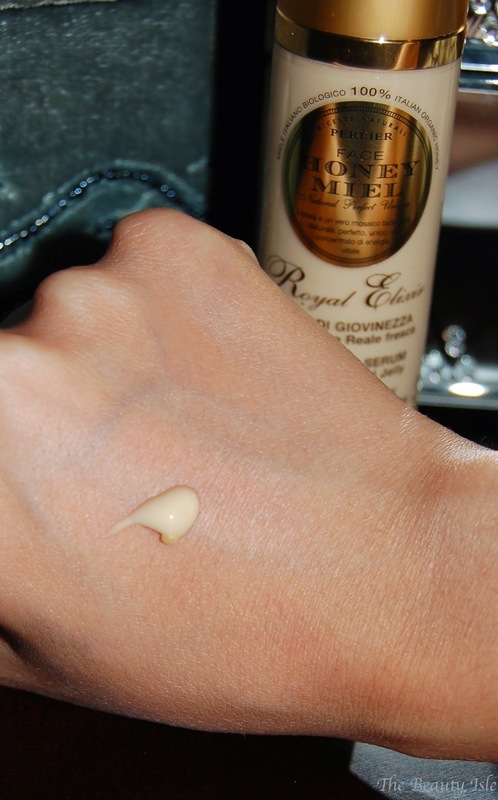 When I use this during the day I follow up with foundation so the shimmer pretty much disappears. 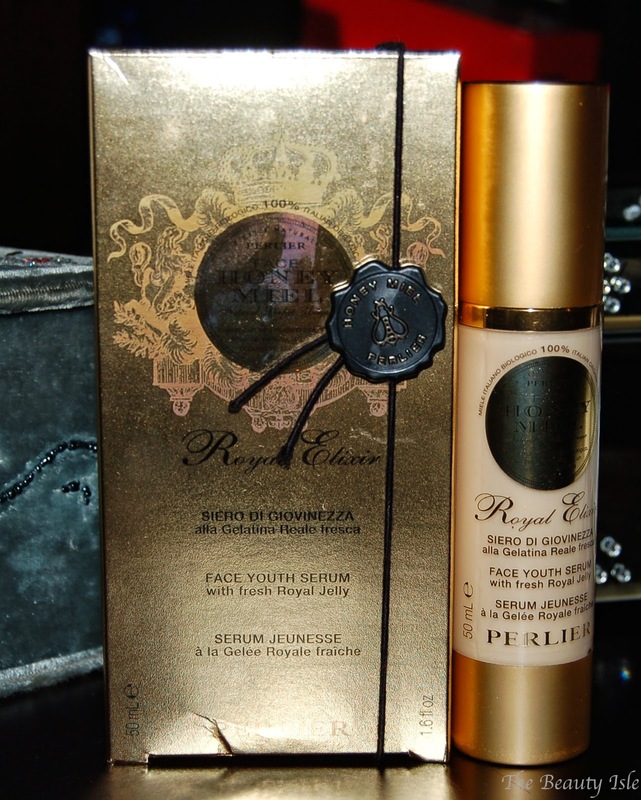 Overall I really like the Perlier Royal Elixir Face Youth Serum. It does claim to provide a more youthful look to aged skin. Since I only used this for a month, I didn't notice any improvements in the texture or coloring of my skin (besides the temporary shimmer). This does a great job as a day moisturizer. If you are in the market for luxury moisturizer, you can purchase this product on HSN for $99. If you enjoyed this post, please share using the social media buttons below!